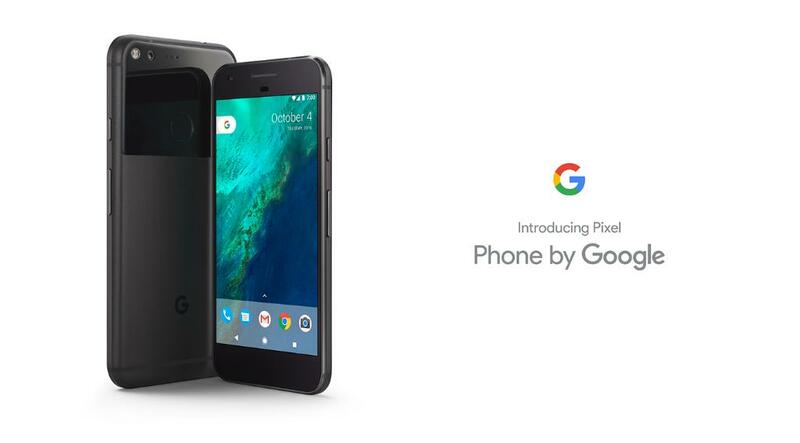 Google just unveiled their latest smartphones: the Pixel and Pixel XL. With its latest smartphones, Google is taking a deep dive into the smartphone market and compete with not only Apple but other Android OEMs as well. The Pixel and Pixel XL have been manufactured by HTC and sport many of the company’s design signatures or touches, but the devices lack any HTC branding. Instead, the Pixel and Pixel XL feature Google’s logo at the rear. 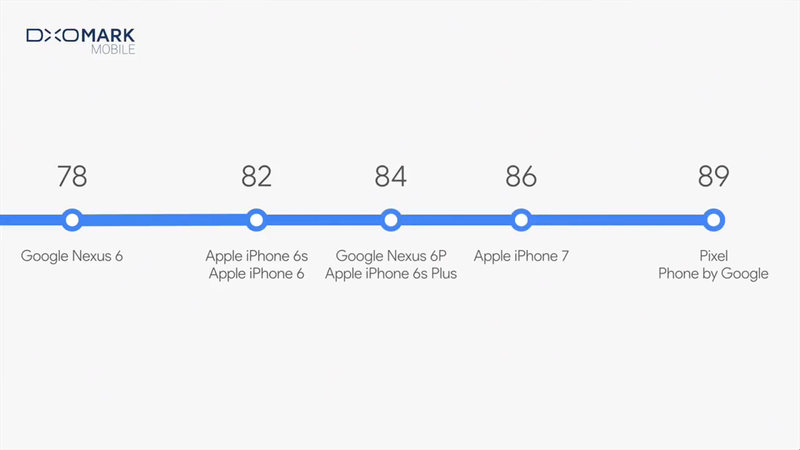 The handsets share a similar design language and only set themselves apart from their different display sizes. The Pixel features a 5-inch Full HD Super AMOLED LCD, while the Pixel XL comes with a 5.5-inch Quad HD Super AMOLED display. Both phones feature a unibody aluminum design but again set themselves apart from other phones in the market by having a large glass back panel at the rear. The bottom part of the rear of the phone is still made of aluminum though. The fingerprint scanner on both devices is also located at the rear. The front of both phones is adorned by hefty top and bottom bezels. While this does make the phone look less appealing, it has allowed HTC/Google to fit in stereo speakers on the handsets in a configuration that is similar to what is found on the HTC 10. This means that one of the speakers is bottom facing, while the secondary speaker is hidden inside the earpiece grille at the top. Talking about the internals, the Pixel and Pixel XL feature Qualcomm’s Snapdragon 821 chipset that is clocked at 2.15GHz. They also sport an Adreno 530 GPU and 4GB RAM. Google will be offering the handsets in 32GB and 128GB storage variants. Both phones also sport a 12.3MP Sony IMX377 shooter at their rear with a f/2.0 aperture lens and OIS. This is paired with dual-LED flash and a laserAF sensor. They also sport an 8MP front camera. Google has also upgraded its camera app to take better advantage of the camera hardware. Similar to Motorola phones, one can launch the camera app by simply twisting the phone in mid-air. Google has also made the photo taking experience faster and better. 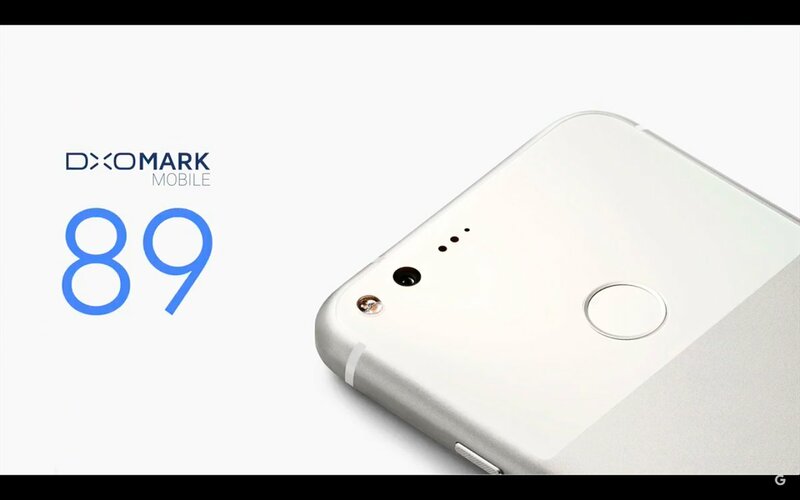 Google boasted during the launch event that the Pixel smartphones received a rating of 89 from DxOMark, which is the highest rating a smartphone camera has ever received. Google’s renowned HDR+ mode is also present on the new Pixel phones. The handsets also feature Smart Burst that takes multiple photos and automatically selects the best photo from the bunch. Other specs of the devices include Wi-Fi b/g/n/ac, LTE (Up to 600Mbps), NFC, Bluetooth 4.2, GPS, USB Type-C port with fast charging, and a 3.5mm audio jack. 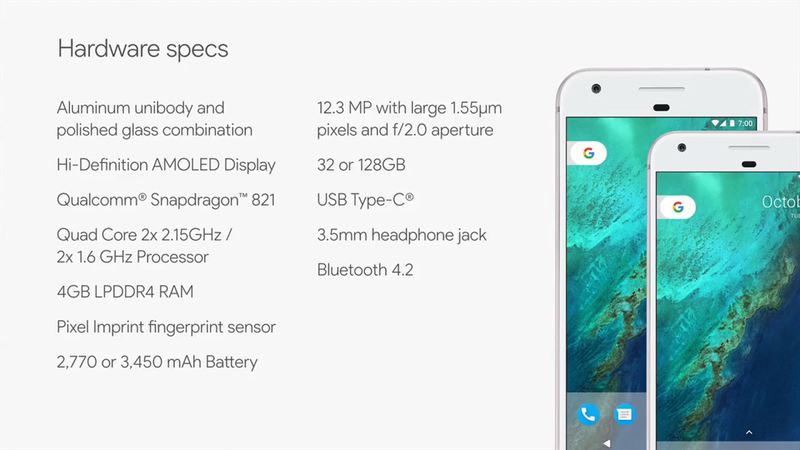 The Pixel features a 2770mAh battery while the Pixel XL comes with a 3450mAh battery. The specs are not the only highlight of the Pixel and Pixel XL. The handsets run on Android 7.1 Nougat and are the first devices that will launch with Google Assistant onboard. Successor to Google Now, Assistant is smarter and efficient than its predecessor in every way. Assistant will be available everywhere and anywhere when you need it. It will be more conversational and show relevant information by keeping your original question in mind. You can trigger Google Assistant quickly by long pressing the home button on the new Pixel devices. Google has also tightly integrated Google Photos with its new Pixel devices. The handsets will automatically upload all the photos shot from them to Google Photos in full resolution that will not count against your storage quota. Once uploaded, you will automatically be prompted to delete the photos to free up storage on your device. Most importantly, Pixel and Pixel XL will come with a new exclusive Pixel launcher that comes with a brand new look and circular icons. One can also quickly access the app drawer via a simple swipe-up gesture. The handsets will also come with Google Duo for video calling pre-installed. Surprisingly, Google will be offering the Pixel and Pixel XL exclusively through Verizon in the United States, though you can also purchase the handset unlocked from Google Store. 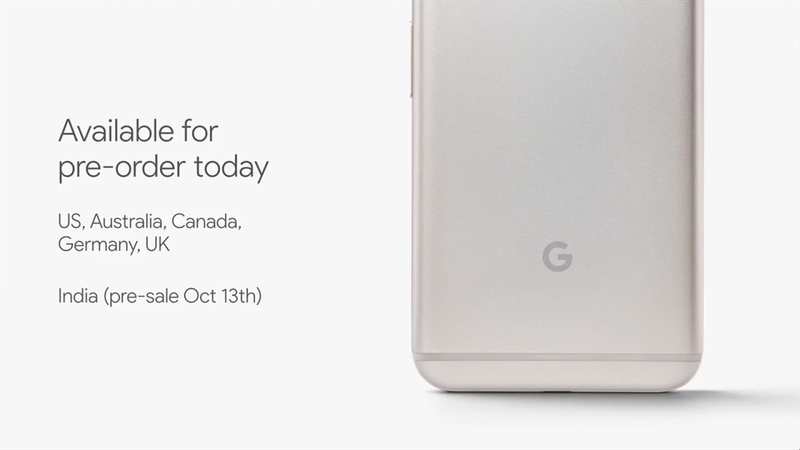 The unlocked 5-inch Pixel has been priced at $649 for the 32GB variant, while the 5.5-inch Pixel XL is priced at $769 .The handsets will go on sale from October 20th in most of the key markets of the world including the United States and Europe. 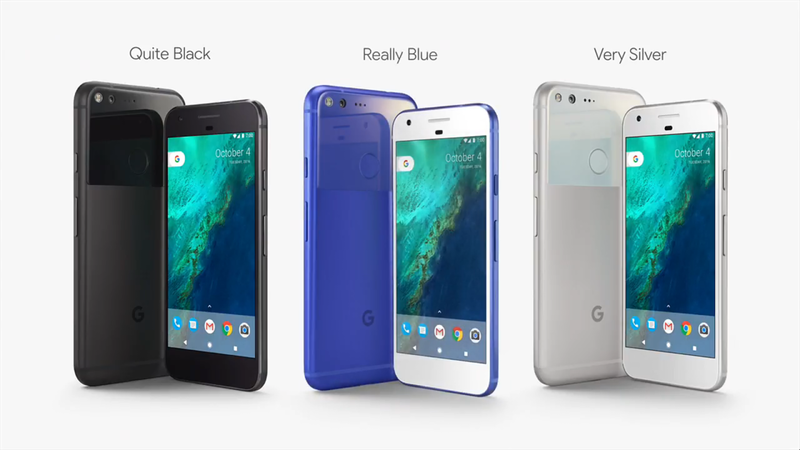 The Pixel and Pixel will be available in Quite Black, Very Silver, and an exclusive Really Blue color. Pre-orders for the phone starts from today in United States, Australia, Canada, UK, and Germany. In India, pre-orders for the handset start from October 13th on Flipkart, Croma, and Reliance Digital. Like this post? Share it!